I love thinking outside of the box, experimenting, and introducing my friends to flavors or ingredients that they’d otherwise not normally have tried. But, as you guys also know, I’m ALL about easy. No one has time to slave away in the kitchen for hours. (At least I don’t!) So I am always on the hunt for recipes that are full of flavor but easy too. 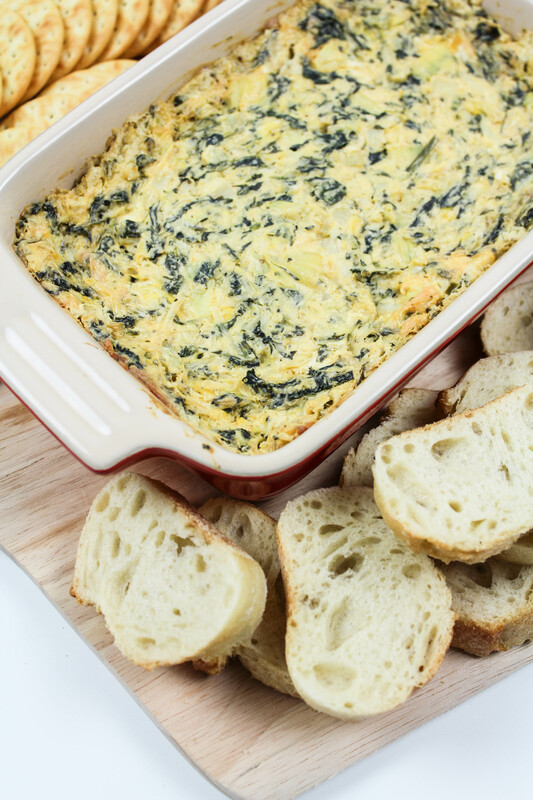 And this buffalo spinach artichoke dip is just that! 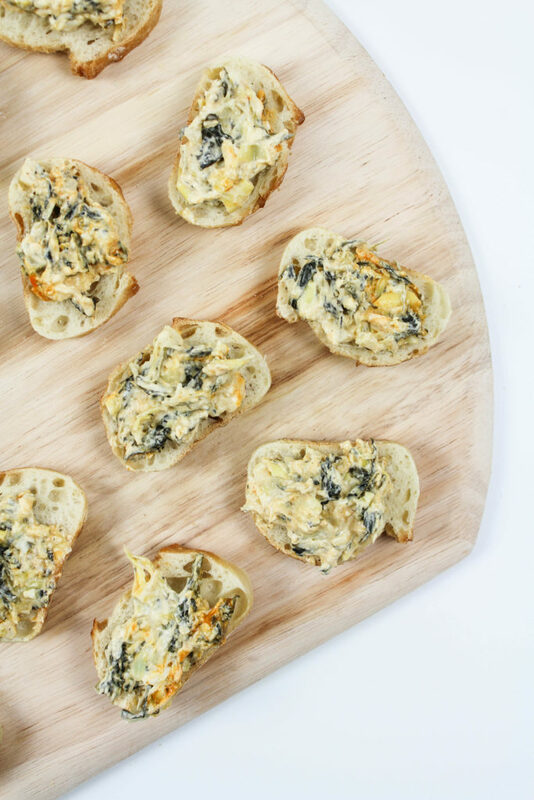 For this appetizer I partnered up with Reese Specialty Foods and used a few different ingredients of theirs! I love their products in my recipes because they are simple, delicious, completely versatile, and are Non-GMO Project Verified! You can pick them up at your local grocery and retail stores around the country. (To find the location nearest you, check out the product locator). In this recipe, I’m actually adding an ingredient that you might not be super familiar with. Have you guys heard of or used Hearts of Palm before? They are quite popular around the world and considered a delicacy! They are also low in calories, and full of great nutritional benefits, like vitamin C, fiber, iron, potassium, and protein! They are great to use in salads, dips, or even deep-fried for a crunchy treat! But, now let’s get to what’s important…the delicious recipe! Coat a baking pan with olive oil. Spread the dip mixture evenly into one baking dish, or two smaller baking dishes. 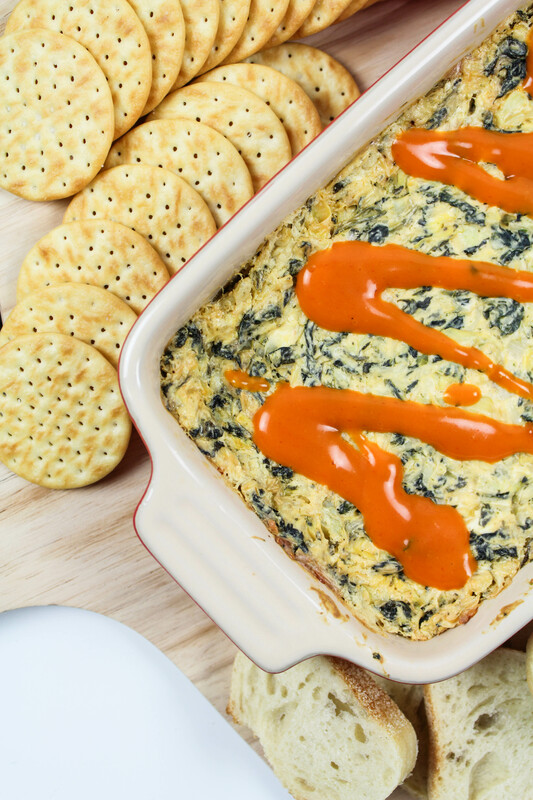 (If you like the flavor and kick from buffalo sauce, drizzle more buffalo sauce over the top of the dip). Bake for about 25 to 30 minutes, or until the top is bubbly. Serve with your favorite chips, crackers, crostini, or fresh veggies. 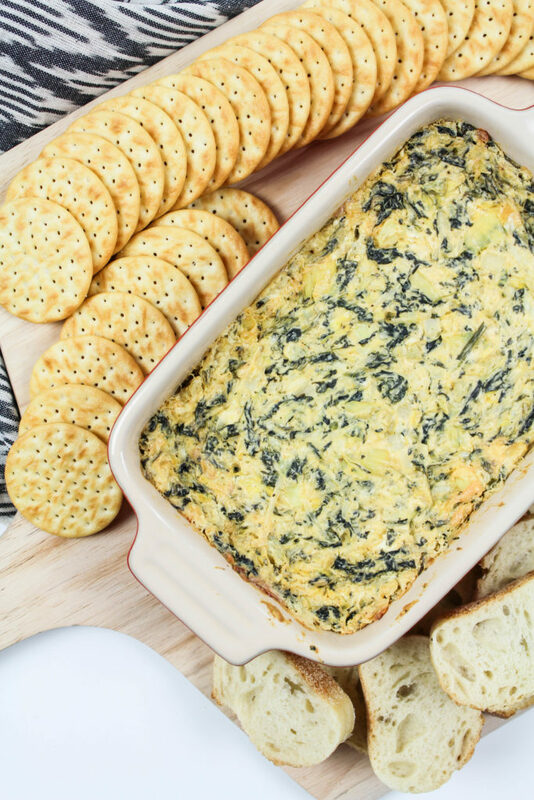 With a few simple additions to a basic recipe, this buffalo spinach artichoke dip couldn’t be easier and will have you serving up a new flavor profile at your next gathering. 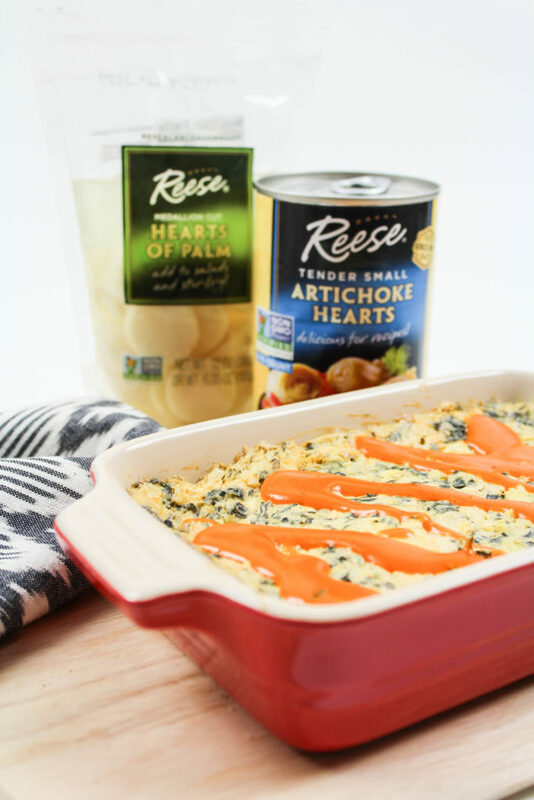 It’s easy to put a little <3 in your recipe with Reese! 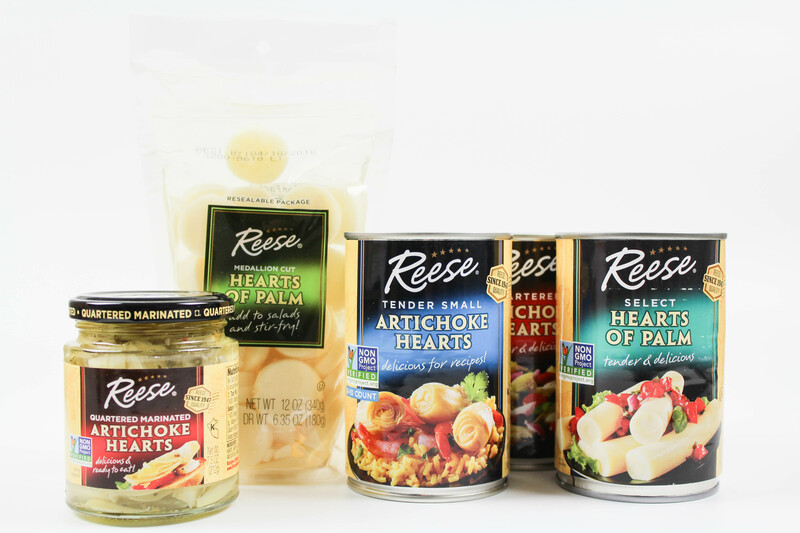 Want to find more recipes that you can make using Hearts of Palm or other Reese specialty products? Check out their website for some great and easy ideas! Show how you use Hearts of Palm in your recipes and use the hash tag #HeartToHeartKitchen for a chance to have your content shared by Reese!